If you are interested in my services but have questions, you may want to check out my FAQ section by clicking HERE, or you can check out my making an appointment and cancellation page by clicking HERE. If your interested in making an appointment for a photography session or you have other questions, just fill out the contact information below, and I will get back with you as soon as possible. You do need to fill out each line in the email box below for the email to go through, or if you would rather email me directly, you can email me at kimstahnkephotography@yahoo.com. I do return all emails within 24 hours, so if you do not hear back from me, the email could of gone into my spam. Please don't hesitate to call me or email me again. 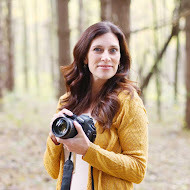 I look forward to hearing from you, and I would be honored to capture your special life moments through my photography! If anyone needs to contact me immediately my phone number is 330-416-8447. Please put your phone number under subject line! I will not be calling anyone, but I use this in case I have a problem with returning an email! Thank You!